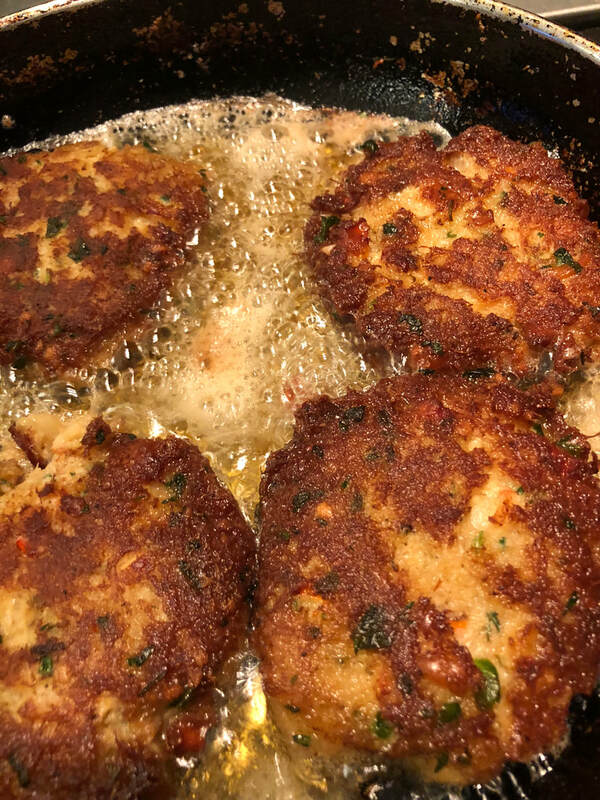 I just love crab cakes! They are so flavorful and so simple to make. You can also do so much with them to "evanate" them and make them your own. One of my favorite things to do is to play with the herbs from my garden. 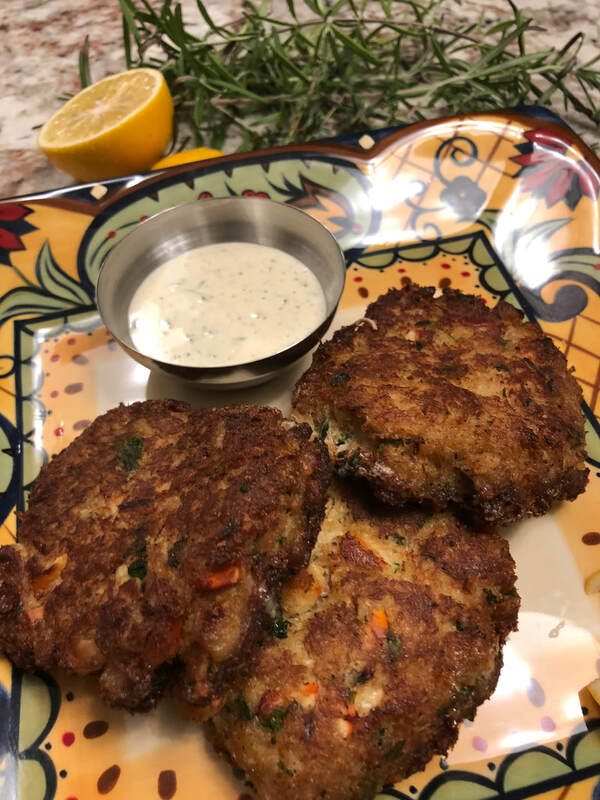 I infuse herbs into the into the dipping sauce and the crab cake itself. 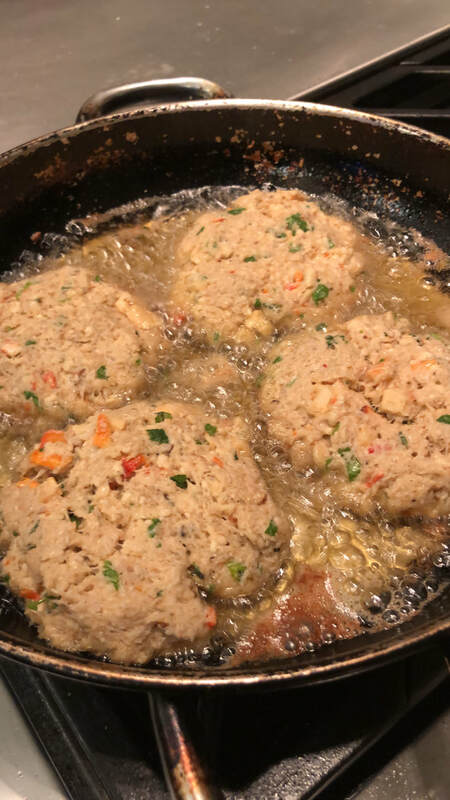 You can also use multiple types of crabs for different tastes and textures. 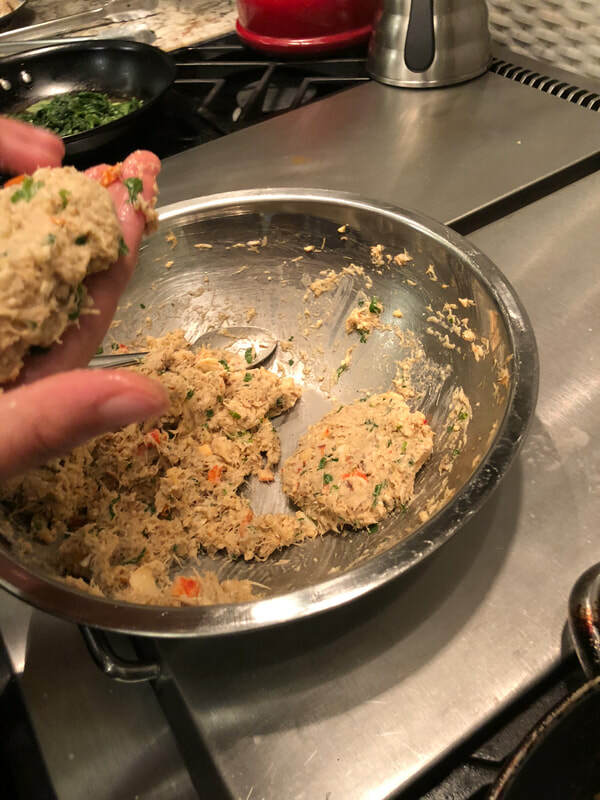 I find that the sweetness of the lump crab meat and texture of the back fin crab combine nicely with the mild flavorful herbs. What combinations are your favorites? Mix everything together until it comes together in a big ball. Then, portion out the patties to the size you like. I prefer about 2-3 inches in diameter. Heat your oil and cook through about 2-3 min on each side and golden brown. Combine all ingredients in a blender and pulse to combine. Make your own mustard by taking a teaspoon of ground mustard and adding enough water to make a paste. Let it sit about 10 to 15 minutes before using.